Thanks for the comment! My preference would be to pair for more, so I'm with you. 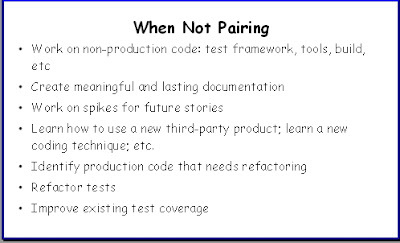 I view this list as "if you really can't pair, do these things well before you touch any production code." We didn't say to NOT do them WHILE pairing. Only to DO them while NOT pairing.